Following his side’s 1-0 win over Tottenham at Wembley, media has already begun considering Ole Gunnar Solskjaer as a realistic candidate to take on the permanent managerial role at Manchester United at the end of the season. 1. Pochettino To Stay At Spurs? After performing splendidly and winning the Champions League with Chelsea in his interim role, Roberto Di Matteo was appointed as the Blues’ permanent boss at the start of the 2012-13 season. But the move barely paid off, as the Italian ended up getting sacked within four months. Could the same fate possibly await Solskjaer and Man United? It is already clear that Solskjaer prefers Marcus Rashford as his primary striker, and the Englishman will continue to be the main man upfront for years to come if Ole stays put in his position. However, this has demoted Romelu Lukaku onto the bench, and if the Belgian is unwilling to adjust to his new secondary role, we may very well see the star striker depart come summer. Solskjaer’s permanent appointment will be a huge blessing for Paul Pogba, who has been enjoying the Norwegian’s complete confidence, along with enormous freedom and a license to kill on the pitch. Further, this could also secure the Frenchman’s United future, as no player is likely to even consider leaving a manager that wishes to build the team around him. The extension of Solskjaer’s stay will ensure Sir Alex Ferguson remains involved with the first-team far more than any other managerial appointment ever could. Therefore, this move is sure to be received well by the club’s humongous fan-base. Solskjaer staying will also keep the likes of Mike Phelan, Michael Carrick, and Kieran McKenna at the Mancunian outfit. Further, this trio could end up playing a huge role in the years to come as well, considering how Ole has given each one of them the freedom to implement their own ideas. 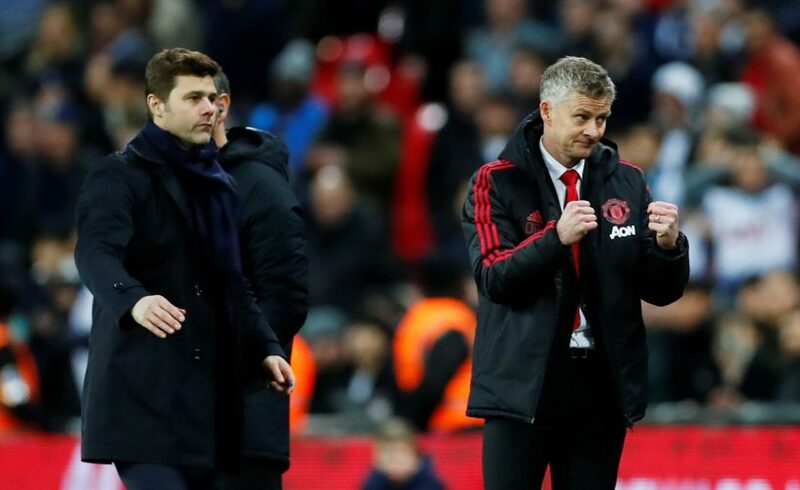 Multiple English reports from the previous weekend indicated that Spurs would not have let United sign Pochettino even for a massive sum of £50 million. However, the Mancunians will have to spend peanuts in comparison if they give up on the Argentinian altogether, and wrap the deal for Solskjaer instead.